President Jacob Zuma is taking a gamble as he ups the ante in his battle with his finance minister Pravin Gordhan for control of the nation’s finances. If he fires Gordhan, as he told Communist Party officials that he planned to do according to three people with knowledge of the matter, he risks a market meltdown and a revolt by opponents in the ruling ANC. If he doesn’t, he’d appear weak as he seeks to secure his choice as successor as party leader in December. Zuma ordered Gordhan to cancel a roadshow and to return home from London on Monday. The turmoil has caused the rand to plummet. Since Zuma, 74, was pressured to appoint Gordhan in 2015, he’s feuded with him over a planned nuclear power expansion and the management of state companies and the national tax agency. He told the communist officials that Gordhan is obstructing his policies and must be removed, according to the people at the meeting who asked not to be identified because a public statement hasn’t been made. The rand has weakened about 3,8% against the dollar over the past two days, the most among 150 currencies monitored by Bloomberg, and was at R12,94 at 7.12pm in Johannesburg. The benchmark 10-year rand bond fell, with the yield climbing 38 basis points to 8,73 percent over the same period. Zuma, the ANC’s former head of intelligence, has overplayed his hand before — a move that resulted in Gordhan taking over the finance ministry. His decision to replace then-finance minister Nhlanhla Nene in 2015 with little-known lawmaker caused the rand and stocks to nosedive. He named Gordhan to the post four days later after lobbying from ANC and business leaders. On Monday, Zuma appeared to have run out of patience. He ordered Gordhan to cancel meetings with investors in London and the US and return home a day after the finance minister landed in the UK. The presidency gave no reason for the decision to cancel the roadshow, which the treasury said had prior approval. Bongani Ngqulunga, the presidential spokesman, didn’t answer calls to his mobile phone. Disgruntlement with his leadership contributed to the ANC’s worst-ever electoral performance in a municipal vote in August last year and cost it control of several major cities, including the economic hub of Johannesburg and the capital, Pretoria. In November, the ANC’s top leadership debated a motion of no confidence in the president but decided against putting it to the vote. 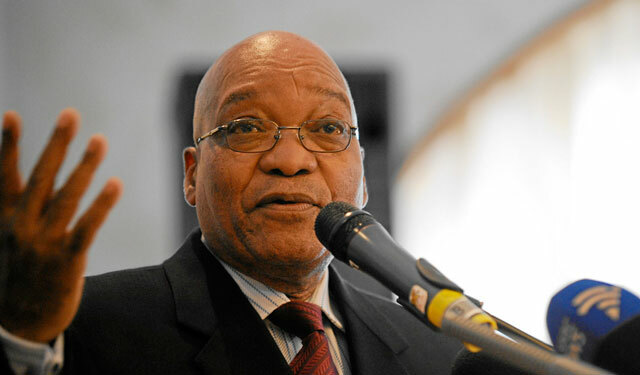 Zuma still enjoys wide support from the party’s women’s and youth leagues. While Zuma has pushed for “radical economic transformation” that he says will tackle racial inequality and poverty, Gordhan has led efforts to keep spending in check and fend off a junk credit rating, earning plaudits from business leaders and investors. The odds are mounting that Zuma won’t see out his second term as president, which ends in 2019, and he will do anything to ensure his political survival, according to Andre Duvenhage, a politics professor at North West University in Potchefstroom. Sadly, the end is equally nigh for Gordhan. One has to wonder though just what skeletons from the past are in Zuma’s cupboard or what incriminating tapes are being whispered about that makes him take this risk? Could Qatro be back to haunt him? It must be pretty dire if he is to give in to blackmail and thus endanger the long time future of an entire sovereign state.